After losing its patent infringement claims against Apple supplier Qorvo in an American trial, Qualcomm is working hard to make it difficult for courts elsewhere to evaluate the merits of its patent claims. That issue is in play in the German court that on Thursday issued an injunction against sales of iPhone 7 and iPhone 8 from Apple's retail stores in Germany. Writing for Patent Progress, Josh Landau a Patent Counsel at the Computer & Communications Industry Association, noted that "while Apple was provided the opportunity to defend itself at a hearing, the court was deprived of key evidence — the schematics of the chip alleged to infringe, and the testimony of the designer of that chip." Landau noted that the chip designer, Qorvo, had presented the same evidence in a U.S. trial, but in Germany, Qualcomm refused to agree to hold the evidence confidential, a stance that would reveal Qorvo's trade secrets to Qualcomm's own engineers. That blocked Apple from "presenting evidence of how the allegedly infringing chip actually operates — evidence that led to a finding of non-infringement in a U.S. court." Florian Mueller of FOSS Patents further detailed the issues in the German case, which involved ten Qualcomm patents: eight targeting Apple's Spotlight search, and two involving "a patent on a power-efficient envelope tracker chip design" by Qorvo. The German court issued an injunction on sales of Intel-based iPhone models prior to iPhone X in Germany. Mueller added, "because of the way things went wrong here, I wouldn't hold my breath that this injunction will ever get enforced (for more than maybe a negligibly short period of time) as the appeals court — the Munich Higher Regional Court — won't necessarily agree with the court below that a patent holder should be rewarded for not enabling the court and the court-appointed expert to get the benefit of seeing the actual chipset schematics." Qualcomm's efforts in Germany to prevent evidence from being evaluated by the court follows a surprise filing it made in China, where it demanded an injunction on iPhone sales without notifying Apple of any infringement and without allowing it to respond to the claims—which related to patents Qualcomm acquired for the purpose of using them offensively against Apple in China. The Chinese court issued an "ex parte preliminary injunction — an injunction issued without notice to the enjoined party, and without any opportunity to respond," Landau wrote. "That sort of injunction is completely banned in the U.S. under the Federal Rules of Civil Procedure because it completely fails to meet the minimum bounds of due process." Qualcomm is working to piece together leverage it can use in its negotiations with Apple and its suppliers, but its tactics in China and Germany are likely to backfire, particularly since the company has previously complained about due process in its legal defense related to fines imposed by Korea Fair Trade Commission. 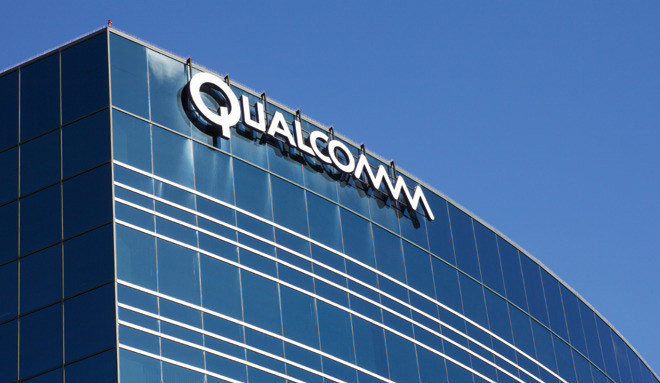 Qualcomm faces a suit for $9 billion in damages from contract manufacturers, as well as a series of cases brought by government regulators, including the U.S. case brought by the Federal Trade Commission scheduled for January 4. Qualcomm also faces a consumer class action suite scheduled to go to trial in June, involving 250 million consumers arguing that Qualcomm's behavior is injurious and harming innovation in unfairly raising prices to end users.